Dr. Richard Holsman, PT, DPT, MAT, GCS (NJ Lic. #40QA00978900), is the President and CEO of Holsman Physical Therapy and Rehabilitation, a clinic group practice of Physical Therapists, Speech and Occupational Therapists specializing in the prevention, wellness and treatment of clients and patients of all ages. They have multiple independently operated and convenient locations in New Jersey: Clifton, Cedar Grove, Caldwell, Lyndhurst, Bloomfield, Newark, Kearny, Jersey City and Rahway; and in New York City: Bronx and Brooklyn. Dr. Holsman earned his Doctorate degree in Physical Therapy from Boston University’s Sargent College of Health and Rehabilitation Sciences. He also received a Master’s Degree in Teaching major in Health Education and an undergraduate degree in Physical Therapy from the University of Perpetual Help Rizal with honors. In addition to being a licensed Physical Therapist in New Jersey and New York State, Dr. Holsman is a Board Certified Geriatric Clinical Specialist (GCS) by the American Board of Physical Therapy Specialties (ABPTS). He is the President and managing director of Holsman Healthcare, a healthcare staffing and consulting services company and Home Therapy PT LLC, a provider of therapy services in New York State. Dr. Holsman is actively involved in the community, providing community outreach, falls prevention and health promotion seminars to seniors in Northern New Jersey, New York City and Westchester County. He is an active member of the American Physical Therapy Association, Academy of Geriatric Physical Therapy, Orthopedic and Sports Physical Therapy Section, Private Practice, and Health Policy and Administration. 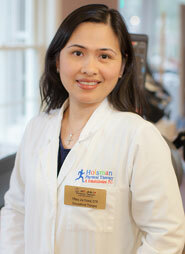 Mrs. Ida Uri is the Director of Rehabilitation and Quality Assurance at Holsman Physical Therapy and Rehabilitation. She is a managing director for the Holsman group of clinics. She earned her Bachelor of Science degree in Physical Therapy in 1990. She's been a resident of Passaic county for the past 20 years. A calculated risk-taker with deep clinical knowledge and management skills, she had mentored numerous clinicians and managers in a diverse single and multisite settings in the past 14 years. Her passion in achieving clinical and operational excellence is evident in her day to day life. Prior to joining Holsman, Ida had worked in one of the nation's largest geriatric company for 18 years. Embracing the core values of integrity, discipline, innovation and growth, Ida had received several commendations and awards for delivering high quality care and operational achievements. Ida enjoys working with people. She, with her family, actively serves in 2 parishes. She joins her husband in giving pre-cana seminars to engaged couples for 10 years. She is also a catechist for confirmation and adult RCIA. Ida serves as a member of the Diocesan Commission for Catholic Filipino Ministries in the Diocese of Paterson for the past 4 years. Dr. Dhaval Talati is a Licensed Physical Therapist in the State of New Jersey & New York. He earned his Master's degree in Physical Therapy from University of Pittsburgh, Pennsylvania and a Post Graduate Diploma in Hospital Administration from Apollo Hospitals. He holds advance training and specialization in manual therapy and sports injuries. He is also a certified practitioner in Kinesio-Taping, Maitland mobilization and worker’s compensation cases. Dr. Dhaval is a dedicated practitioner who takes a holistic approach to his practice. 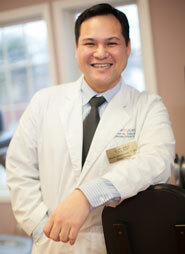 He actively networks with a team of physicians, chiropractors, acupuncturists and massage therapists. 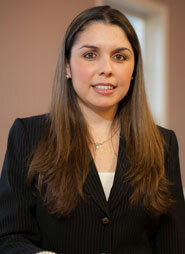 Vanessa Mejia is the Operations Manager of the Holsman family of clinics. She started as the Office Manager of the flagship clinic in Clifton and with the company’s growth, her duties and responsibilities also expanded. Her dedication and remarkable work ethics enables her to seamlessly handle day-to-day management and successfully liaison all the clinics operations. Tiffany Joy Ocana earned her Bachelor of Science degree in Occupational Therapy. She has over 12 years experience in out-patient, acute, sub-acute and long term care with exemplary performance reviews and solid credentials including FIM assessment certification, Physical Agent Modalities (PAMS) and Senior Strength Trainer certifications. She is well-versed in a broad range of Occupational Therapy programs, treatments and modalities as well as restoring functions and improving quality of life for disabled and injured patients. Dr. Michelle G. Encabo or “Mitch” earned his Doctor of Physical Therapy at Montana University, Bachelor of Science Degree in Physical Therapy from University of Perpetual Help Rizal and Master's Degree in Public Administration at Emilio Aguinaldo College Post Graduate School. 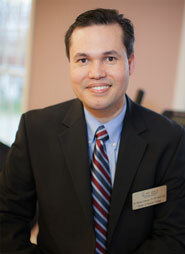 Dr. Encabo is also a Certified Lymphedema Therapist (CLT). He has over 19 years of combined experience in physical therapy practice as well as the academe as faculty and physical therapy instructor. He continuously enrich knowledge of his profession by attending various seminars and continuing education lectures such as Neuroplasticity and Stroke Rehabilitation, Treatment of Shoulder Injuries a Manual Therapy Approach, Bobath Workshop for the Treatment of Movement Disorders and many more.